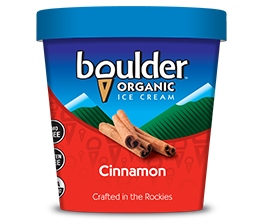 At Boulder Organic Ice Cream, we call the mountains home, and want to share a piece of the Rockies with you. We started making ice cream more than 20 years ago with rock salt and ice churns. Today, we still batch craft every flavor just 10 gallons at a time to create organic pure mountain goodness, keeping it simple and delicious. We use local farm fresh milk and cream, and wholesome ingredients, so you can enjoy the goodness in every pint. Cinnamon · Remember cinnamon and sugar on toast? 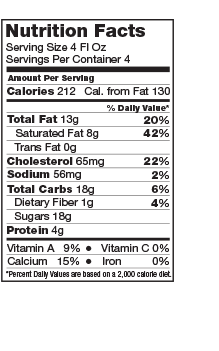 Try this all-time favorite!